Designed by Lisa Norris and taught by Mardi Trout. The tila beads give the wide cuff a unique look and supple fit to the wrist with bling. You can dress it up or make it casual. 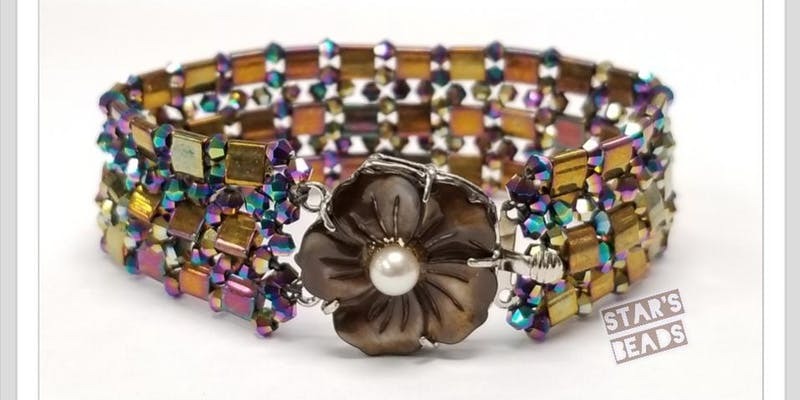 Students will learn to use two-hole tila beads with single-hole crystal beads to create a gorgeous bracelet. This is a beginners – level class. New to seedbeading? This is a great small project class that can add a huge element into your jewelry. Learn to secure a dentelle stone with no hole like a rivoli with seedbeads and embellish it. 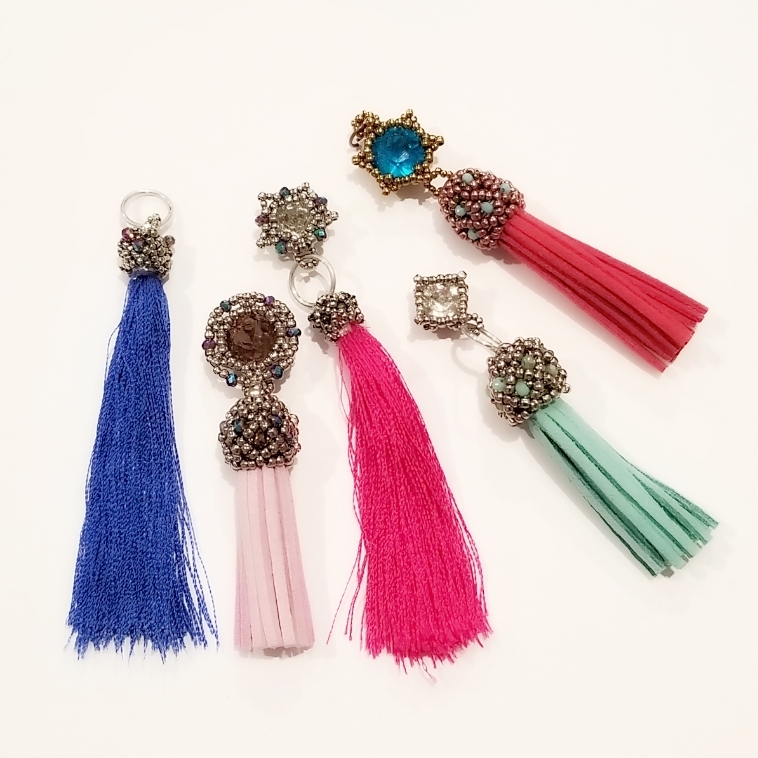 Then learn to make it more functional to connect to anything like a tassel, key ring or a bail to make a pendant. Do you have a tassel that needs to go with your jewelry? Different metal color? Bead a removable cover for approx 13mm tassel. Other sizes will be discussed. Decorate with a spash of matching color to rest of your beadwork.